With few exceptions, almost any type of bike can be successfully used for getting around the city, but bikes best suited to daily commuting generally give the rider a somewhat upright riding position, moderately thin but durable tires, and options for carrying loads on the bike. 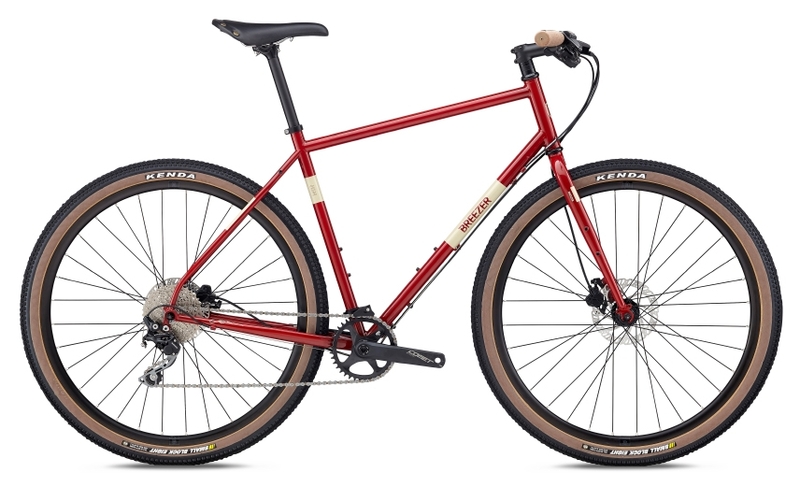 Our favorite urban bikes include models specifically designed for that purpose, as well as hybrid bikes, single-speeds, and certain types of road bikes. Folding bikes get their own page, as they are a phenomenal urban transportation option. We endeavor to represent a wide selection of popular and niche categories in the store, however we cannot possibly stock all that our vendors offer. Many of their offerings are part of our regular store inventory, but we and the vendors do sometimes run out. If you would like to purchase a bike that is not in our inventory, we are able to order risk-free any model that our vendors offer. Unlike internet vendors, we will help you with the selection and sizing, and include shipping, complete professional assembly, and a full year of maintenance with your bicycle purchase. Do-it-all bike that won't break the bank. Nimble and fast, thanks to a lightweight aluminum frame, and strong wheelset. Sure-stopping disk brakes across the range. Upright and practical enough for urban hops, light and zippy enough for sweet weekend 50-milers. Different models offer a range for wheel and tire options. Ride like the Dutch at a fraction of the price! Super-comfortable upright position, easy to get on and off even in a dress! Comes with fully functional rack for carrying your work things, shopping or picnic. Included fenders and chainguard to keep grime off your clothes. Sensible 7-speed drivetrain makes this a perfect neighborhood bike. Tough urban commuter in a mixte step-thru frame for easy getting on and dismounting (great for use with rear-mounted child seat!). Relaxed frame geometry makes for a comfortable and secure ride. Full 4130 chromoly frame is responsive, resilient, durable and a pleasure to ride. Light-weight: perfect for that third-floor walk-up. Aggressive geometry and single-speed drivetrain provide the ultimate in urban riding simplicity. Full double-butted chromoly steel frame is stout, resillient and comfortable over long distances. Sensible, pared down 1 x 10 shifting system works equally well in traffic situations and gravel path adventures. Extra-wide 1.9" tires roll smoothly over rough streets. And don't forget that your existing bike may adapt well to city use with some modifications from our Service Department!